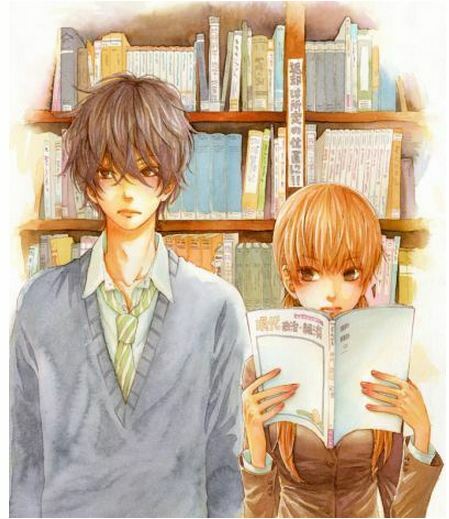 There are many problematic power dynamics presented in shojo anime and manga. Too many series feature weak, passive girls in romantic relationships with jerky or outright abusive boyfriends, often placing female characters in a subservient role. 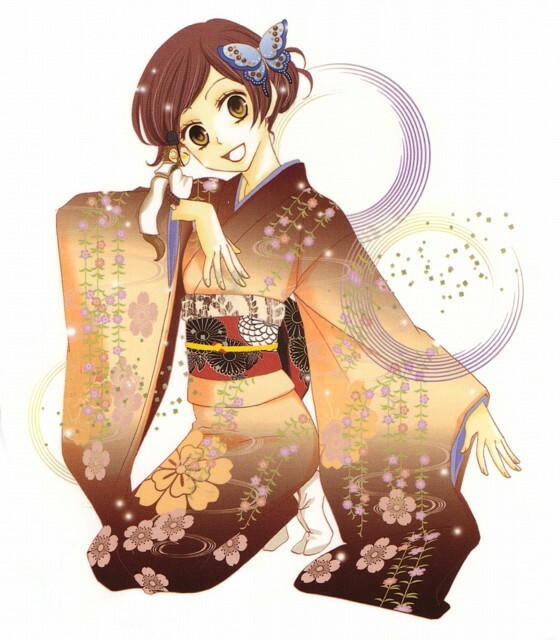 The currently-running Kamisama Kiss anime and manga has impressed many fans with it’s willful heroine Nanami, who becomes a kami (deity) to a local shrine after her dad leaves her (and his debts) behind. On the surface, Kamisama Kiss subverts the traditional power dynamics intertwined with gender relations by featuring Nanami becoming the ‘master’ to her shinishi (a creature who is controlled by a kami) Tomoe. I’d like to further explore in which ways the series subverts and reinforces stereotypical gender relations – in many cases, at the same time. Many bloggers pointed out that right from the start, Kamisama Kiss subverts traditional shojo cliches by having Nanami steal a kiss from Tomoe, while in most series it is the female protagonist who typically has a kiss stolen from her. But as I have mentioned before, it’s interesting that when a female character initiates a kiss, her intentions are not romantic or sexual – instead, she kisses Tomoe in order for him to become her shinishi and guardian. Thus, because the kiss was not romantic in it’s nature, Nanami’s ‘purity’ is upheld. And although Nanami is put in a position of power as kami of the shrine, it is interesting that she becomes the kami of love and relationships, which has always been associated more with women. Another way in which traditional gender roles are upheld is that Tomoe, as a fox yokai who is far more powerful than Nanami, becomes her protector. The reason Nanami kisses Tomoe and enters the shinishi contract in the first place is because she is being attacked by a yokai who steals the souls of humans and needs him to fend off the monster. And as a newcomer to the shrine, Nanami relies on Tomoe for everything from learning how to use ofuda (strips of paper used to write spells) to catching the bus on time. Tomoe himself, though a wild fox yokai, is very much like most ‘bad boy’ love interests in shojo manga: he has a mysterious past and can be cruel to Nanami (often to teach her a lesson). In these ways, stereoypical gender representations are reinforced. 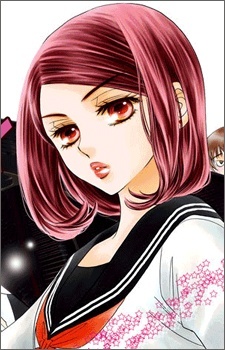 However, it’s been pointed out that while on the surface Tomoe may rescue Nanami, ultimately Nanami always ends up saving herself, thus neutralizing Tomoe’s status as her protector and setting Nanami apart from the typical ‘damsel in distress.’ For example, in volume six, when Nanami is attacked by a spider yokai at school Tomoe is the one who kills the monster. However, the school becomes thick with miasma from the yokai, and Nanami is ultimately the one who is able to purify the monster despite Tomoe’s stronger powers. There are also several instances where Nanami ends up saving Tomoe. In volume four, Tomoe gets kidnapped by a sea yokai and is saved by Nanami when she returns to the past to retrieve the eye Tomoe stole from him. Thus, Tomoe and Nanami are constantly switching positions in their power dynamic. 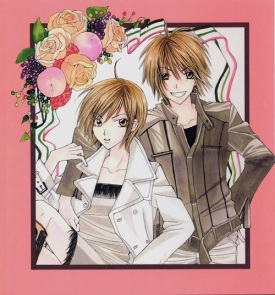 However, as the series progresses, Nanami finds herself in situations where she can’t rescue herself more often, and ends up relying more on Tomoe (such as when Nanami is sent to the Land of the Dead in volume eight). While this may seem to suggest that the series is regressing to traditional gender dynamics, I am not bothered because much has been done to show that Nanami always makes an effort to get herself out of sticky situations, which is more than can be said for the stereotypical passive female character. And more importantly, the emphasis of the series is clearly to show that Nanami and Tomoe are strongest when they work together. As a kami, Nanami is becoming more confident in her powers, while Tomoe is beginning to realize that humans aren’t as weak as he thought they are. Because of her influence in his life, the shrine feels warmer, and Tomoe is slowly learning to trust Nanami not to abandon him as his previous master Mikage did once before. In terms of the growing romance between Nanami and Tomoe, however, is where the ever-changing power dynamics must come into question. By having Nanami kiss Tomoe first, it would seem as though Nanami has the upper-hand in their relationship. 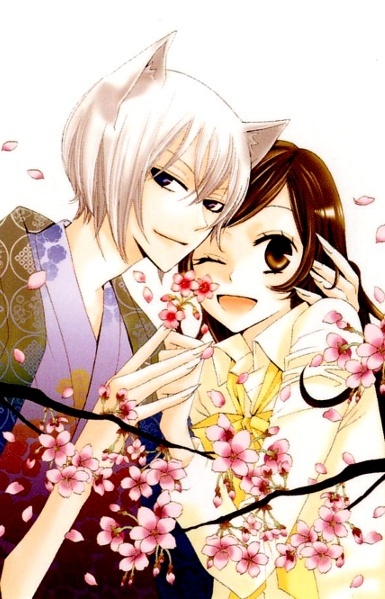 But I would argue that Kamisama Kiss upholds traditional gender relations in all areas concerning romance. 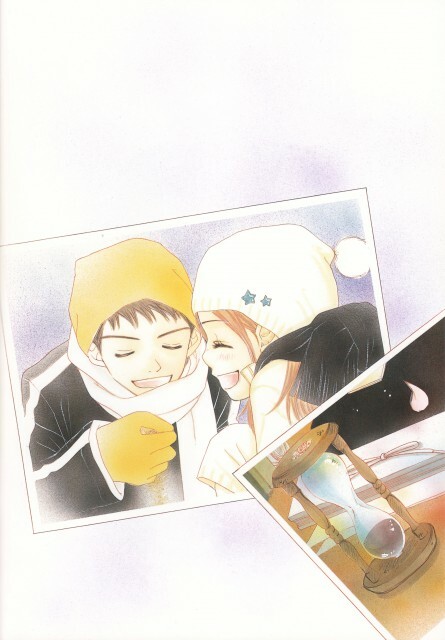 Nanami is the first to realize she loves Tomoe, and when she hypothetically asks what he would do if she fell for him, Tomoe tells her that he “will not fall in love with a human.” Nanami is heartbroken, and at this point any romantic relationship between the two of them is completely in Tomoe’s hands. Kurama, a tengu, warns Tomoe that Nanami may fall for him simply because she’s a young woman, which perpetuates stereotypes about teenage girls being shallow and boy-crazy. And when the shinishi contract between Tomoe and Nanami is broken in volume eight after he rescues her from the Land of the Dead, it is up to Tomoe, not Nanami, to reinitiate it. He tells her not to automatically assume that he’ll be her shinishi again, and he uses the time to wonder why he can’t stop thinking about Nanami even though their contract has been cut off. And while Nanami had no fears in forcing a kiss from Tomoe at the beginning of the series, now that she has romantic feelings for him she doesn’t do anything, upholding traditional gender roles that only males should be romantic agressors, especially in physical terms. It is Tomoe who kisses Nanami in her sleep in order to become her shinishi again, undermining the atypical power dynamic praised at the series’ start. But is this enough to ruin the series for me? Not at all – I’ve enjoyed series with far more problematic gender roles, and I still can admire Nanami for being cheerful and hardworking without coming across as annoying. More importantly, my interest in the series has grown now that we’re beginning to learn more about Tomoe’s past. Yet while the decision to have Tomoe become the romantic initiator may be chalked up as a female fantasy it is important not dismiss this, and instead think about how deeply-embedded such a female fantasy is in our society and why. 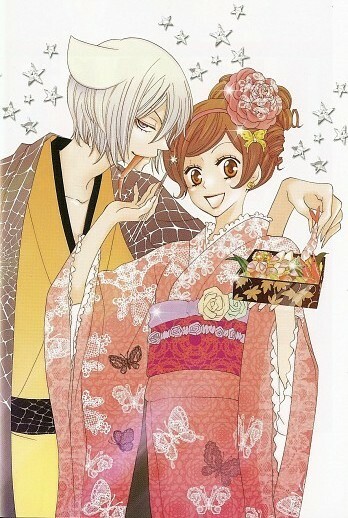 So while Kamisama Kiss may subvert traditional gender dynamics in some ways, in other ways it holds on tight.